Circular trackers are incredibly popular at the moment. 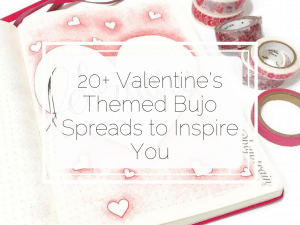 And it’s no wonder as they are simple, functional and there are endless ways to decorate them. 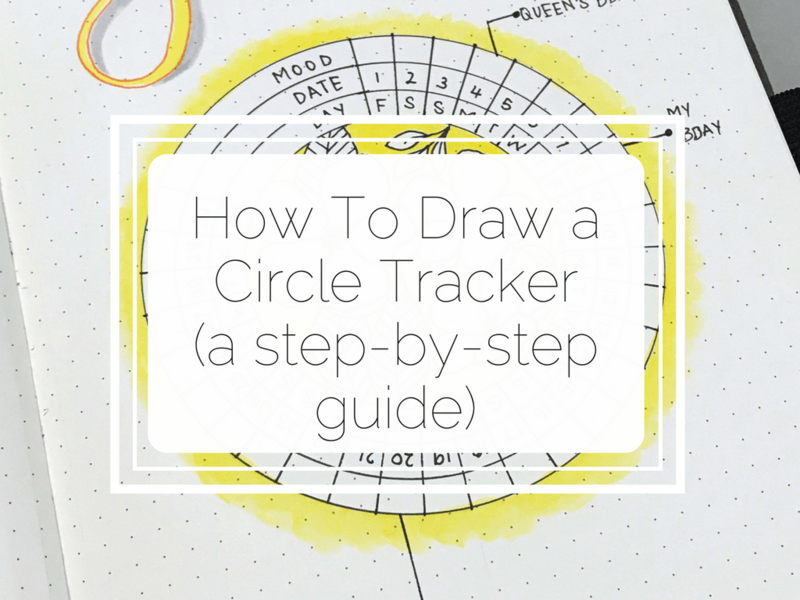 This article will show you how to create a circle tracker step by step. Just read on! 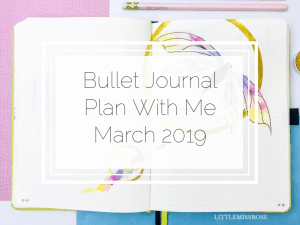 I’ve actually been bullet journaling for over 2 years and I’ve never tried a circular spread until this month. I’ve always been a bit intimidated by the look of it. I’m a perfectionist and the thought of creating a less than perfect circle was always the barrier. Even more so because I didn’t own a compass or “safety compass” until recently. 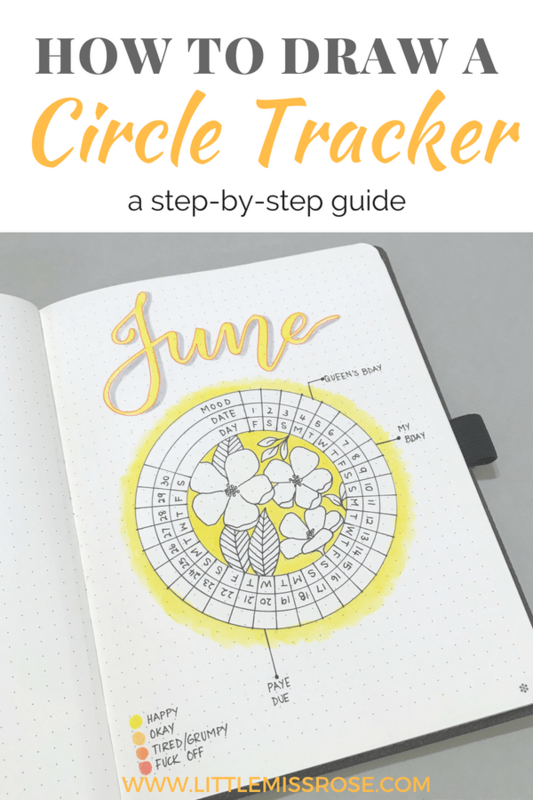 First you need to decide what your circle tracker is going to be for. 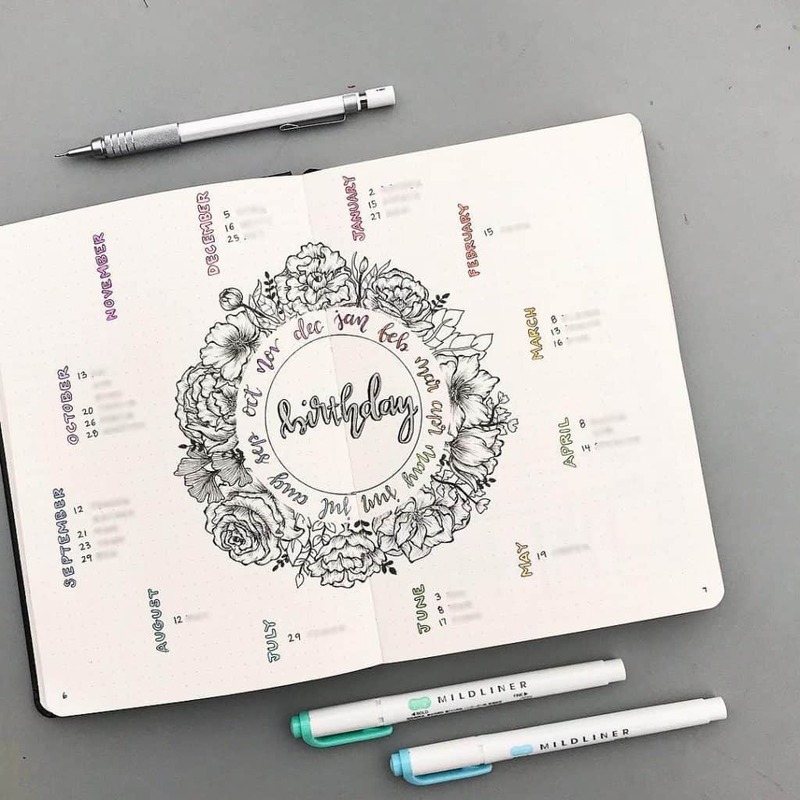 Here are some examples of how you can use a circular spread. 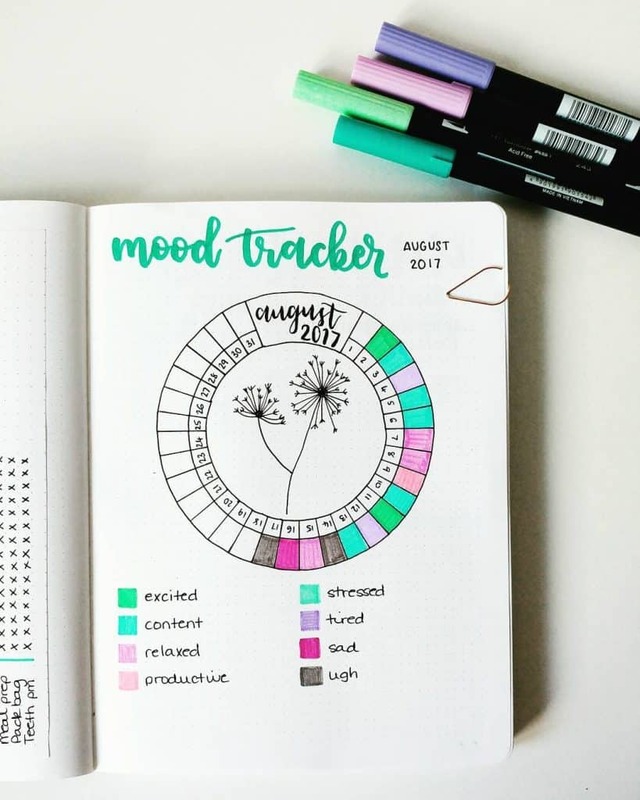 This is a variation of your standard graph form habit tracker, instead of having the days and habits along an x and y axis it’s all within a circle. Here @journalbymir has allocated each line within the circle to a different habit, with the days of the month written around the circumference of the circle. Each “square” will be filled in when a habit is completed. 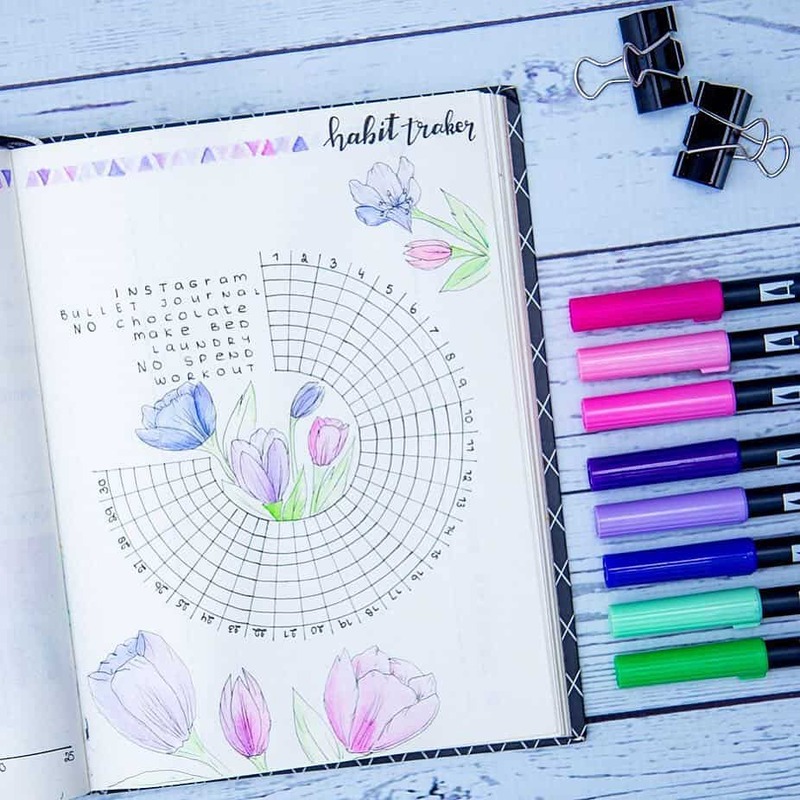 You will need to decide how many habits you want to track so that you know how many circles you need to draw for your tracker. 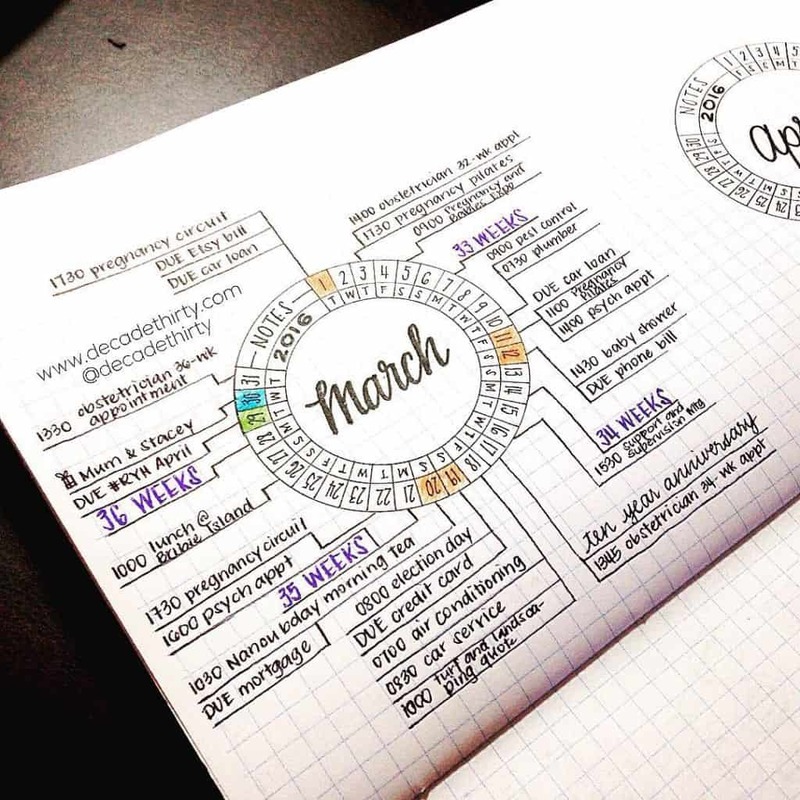 This was originally created by Dee from decadethirty.com and acts as a monthly log. Tasks and appointments are connected to the corresponding date with a straight line. In the following example, I’m going to create a combination of the examples above. 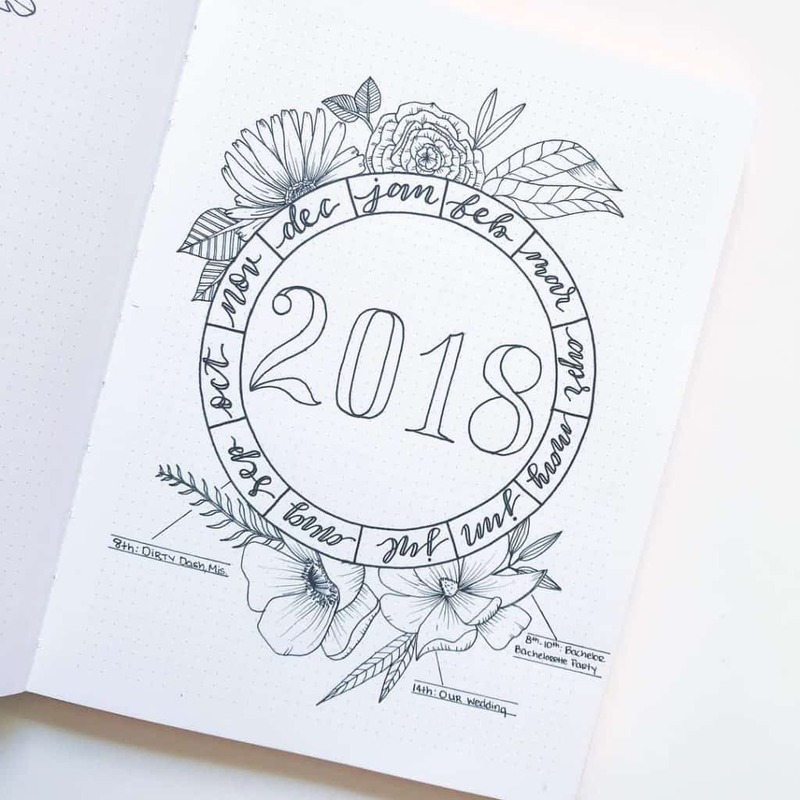 My circular spread will be both a circle mood tracker and a calendar wheel. 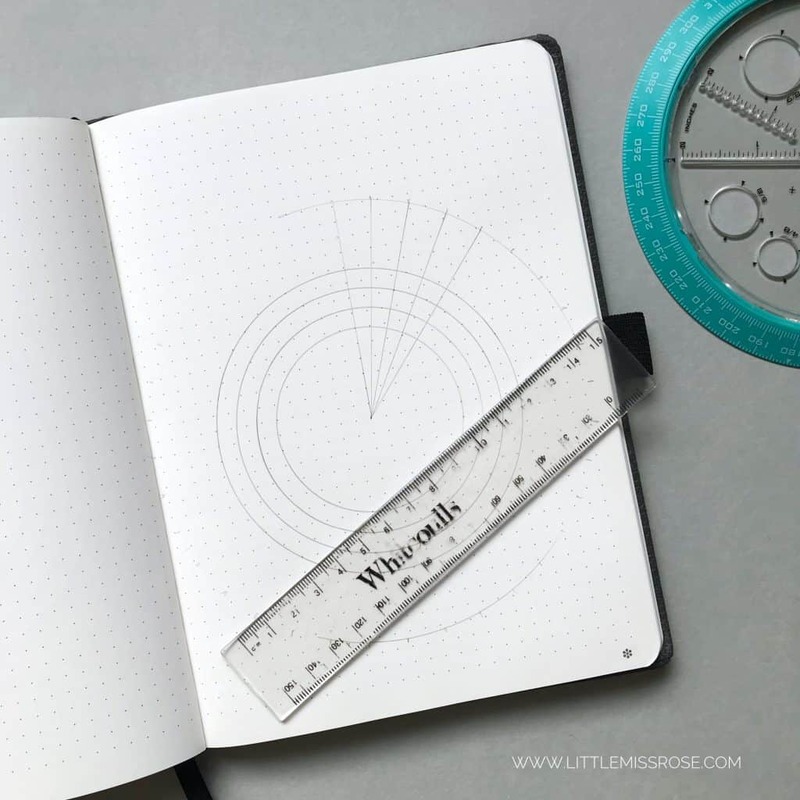 Place your circle maker in the center of your page. 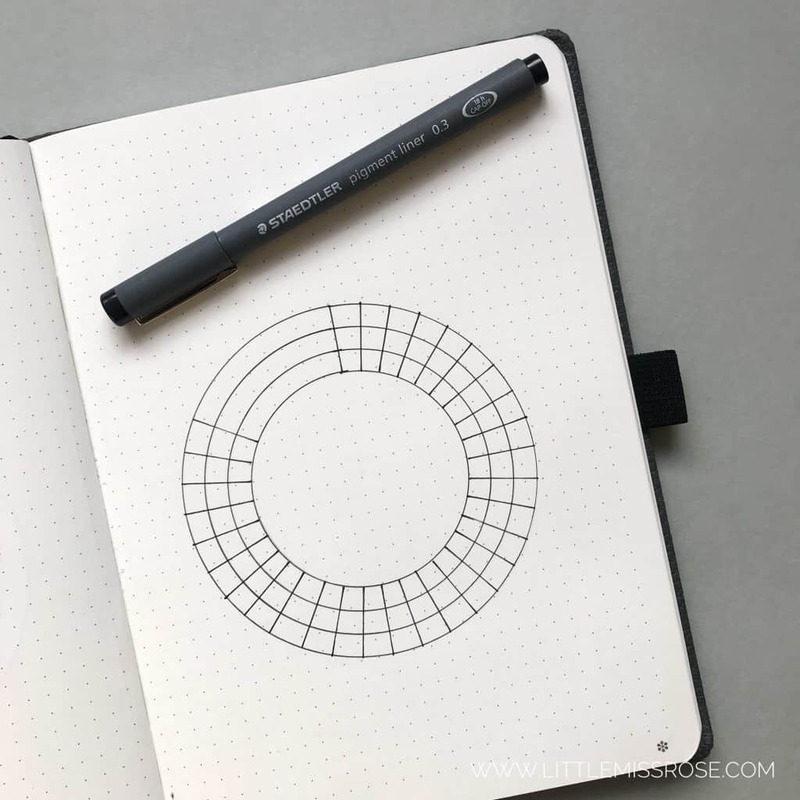 Using a pencil draw a circle around the outside of your circle maker. This circle is NOT actually going to form part of your tracker, but will just be guidance in case you need to reposition your circle maker back on the page later. Believe me, you’ll thank me for this. Also mark where the centre of the circle is. 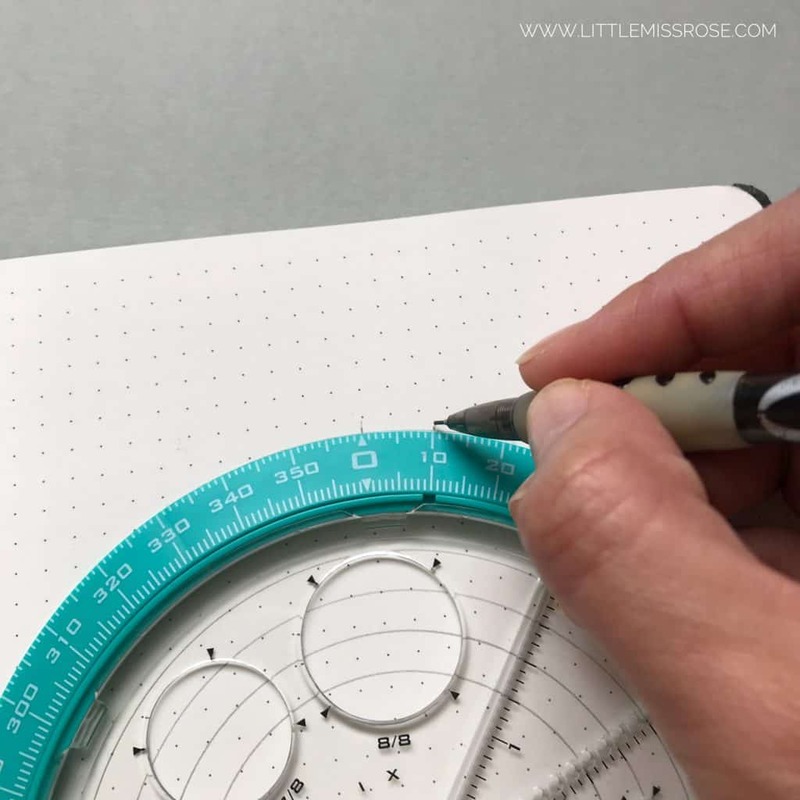 Using the first hole closest to the edge of the circle maker, draw the first circle. Then, skip a hole and draw another circle. Continue until you have 4 circles within each other. Next, section off the circles for the days of the month. To do this make a mark every 10 degrees around the circle. Now you can join each of these marks to the centre point of the circle. Reposition the circle maker and ink over your pencil marks with a black pen. 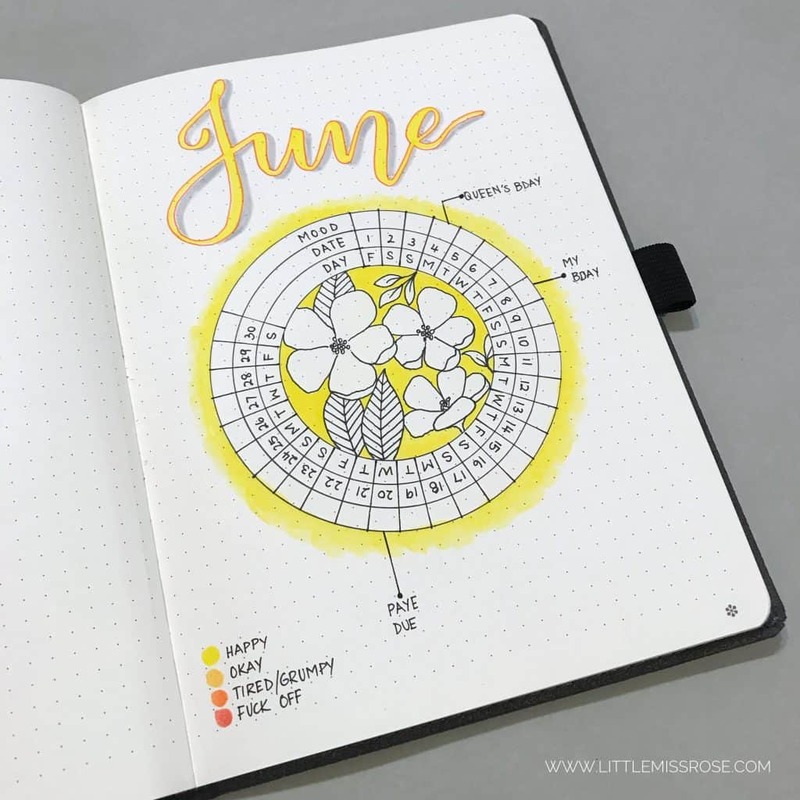 Label your circles and add the days and the dates. Here, I’ve decided that I want the day and dates in the inner circles with the mood around the outside. Then decorate with some handlettering and your favourite doodles. My hand-lettering was done with a yellow dual brush pen, then I outlined it with an orange muji gel pen. Finally I used a light grey dual brush pen to create a dropshadow effect. I drew the flowers below using a Staedtler Pigment Liner and coloured in and around the circle with a yellow watercolour pencil. I brushed over it with a wet brush to make the colour more vibrant and to spread the colour around outside the circle. As you can see with a Helix Angle and Circle Maker, it is incredibly easy to put together a circular spread. 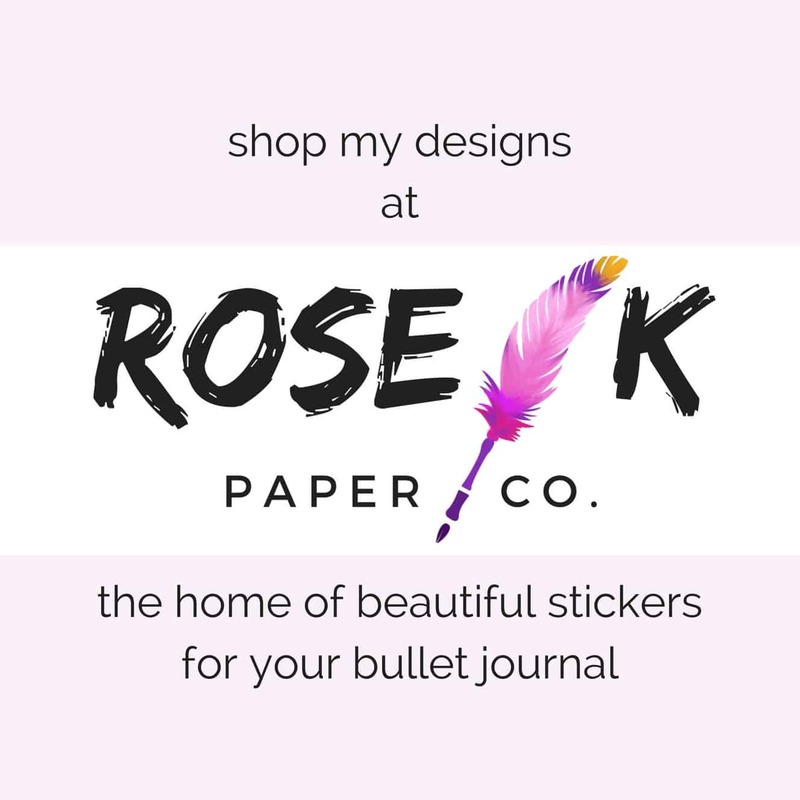 I love this tool so mcuh and I highly recommend it, plus it is really affordable. 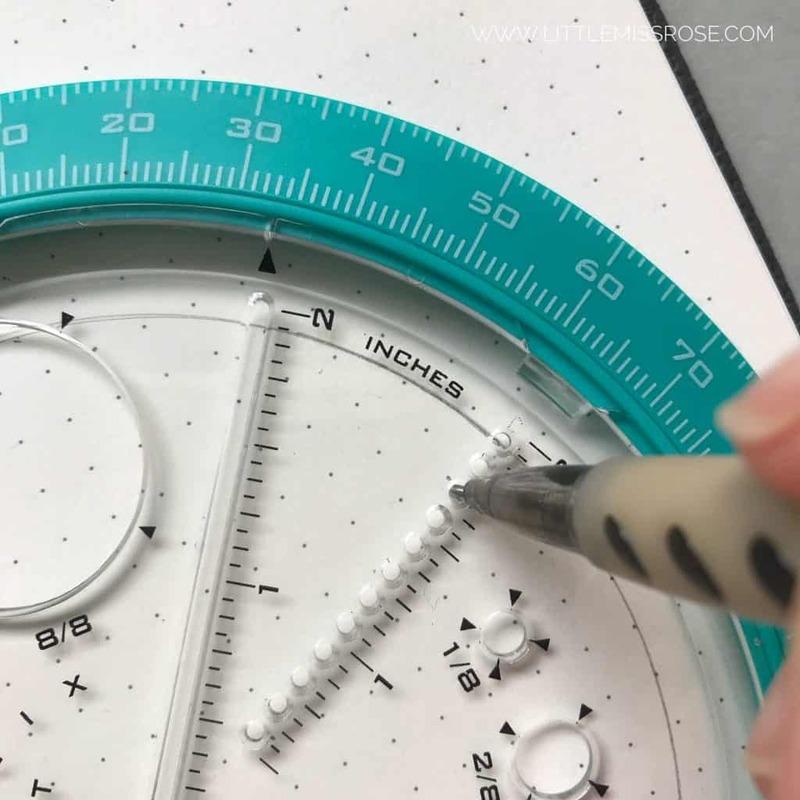 However, if you can’t get hold of one, you can just use a standard compass to draw your cirle and a protractor to mark off your sections. I hope you give this a go, and let me know how you get on. I’d love to see what you circle spreads you come up with! 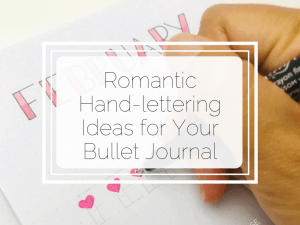 If you enjoyed this article, share it on Pinterest! Oh my goodness, THANK YOU!!!! 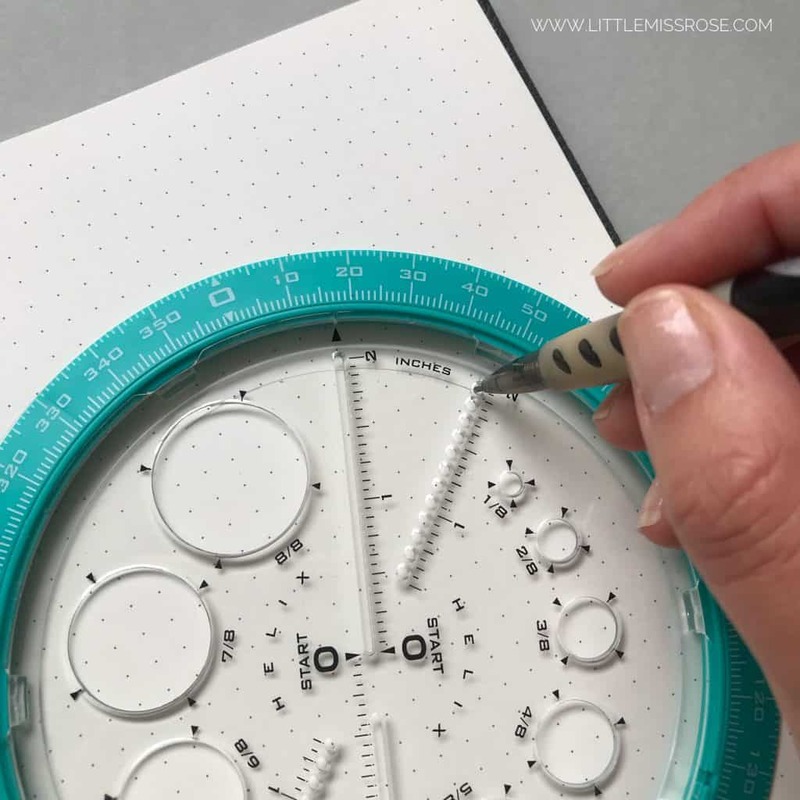 I have been trying and trying and trying, and always failing at making these beautiful circle trackers with my helix circle maker. 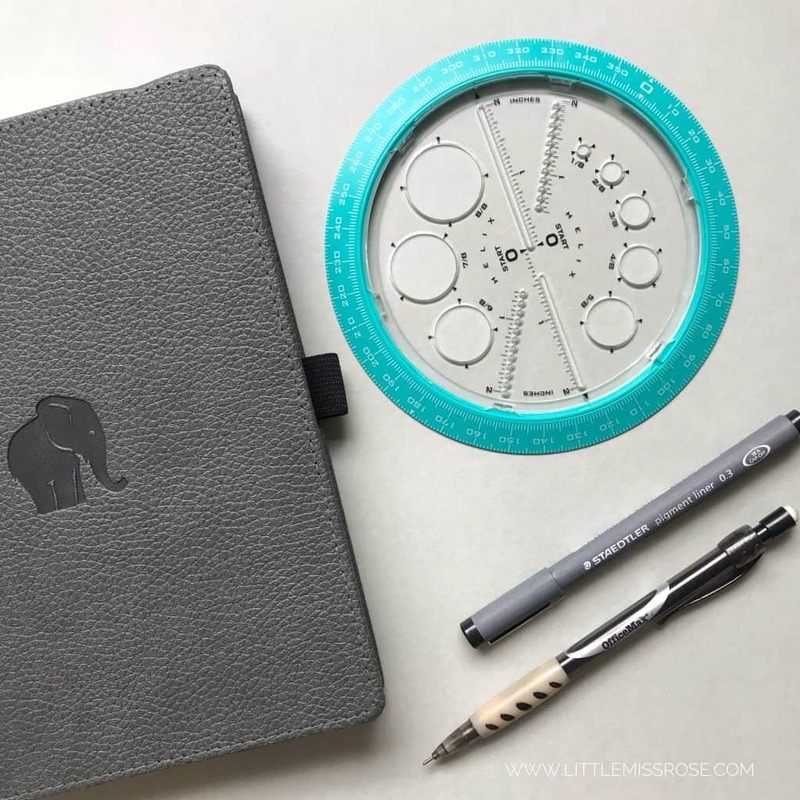 I feel a bit daft for not realizing that the ruler on the outside part of the circle maker would be prudent in making the sections perfectly spaced apart. So seriously, much thanks to this wonderfully helpful guide!!!!!!! What an awesome tool! This must make the circle trackers so much easier! Thank you for sharing how to use it!